Local Air Conditioning Company In Burlington, Elon, Graham, Mebane, Hillsborough, Surrounding NC. A reliable air conditioning system is essential to keep you comfortable all year long in the North Carolina weather. Good thing, we have experts here at Kemco of Burlington, Inc. to take care of all your air conditioner installation, maintenance, and repair needs. If you are looking for air conditioning companies in NC, Kemco of Burlington is your top choice when it comes to offering quality services at the best price. Our team of trained and certified air conditioning professionals have been offering top-notch air conditioning services in Burlington, Elon, Graham, Mebane, Hillsborough, and surrounding North Carolina areas for over 20 years. We always believe in providing exemplary services using cutting-edge equipment, plus we only have the best HVAC technicians on our team. Our commitment to excellence, value, and professional work makes us stand out among other air conditioning companies in Burlington, Greensboro, and other NC areas. Looking for air conditioning companies in North Carolina? Contact Kemco of Burlington, Inc. today. Consult with our team of experts by calling 336 584 1166 or shoot us your questions online! What Makes Kemco Different From Other Companies? Years of experience. In 2014, Kemco bought a local HVAC company with over 35 years of experience. Through this acquisition, we have become a full-service company with experience and expertise in air conditioning, heating, electrical and control systems. State-of-the-art equipment. Our pros use modern and state-of-the-art equipment in installing, maintaining and repairing your air conditioning system. We have a fleet of 60 identifiable, well-stocked Kemco vehicles. Just give us a call at 336 584 1166 and we are more than ready to serve you. Professional services. Our uniformed technicians arrive on time and are in uniforms. They arrive with this priority in mind: to accurately diagnose you air conditioning problem and address it in the most cost-effective way possible. Value for money. We try to keep our costs low so you can have more value for your buck. We give you a quote up-front, for your approval, before we begin the work. There are no hidden costs, only honest-to-goodness service from us. 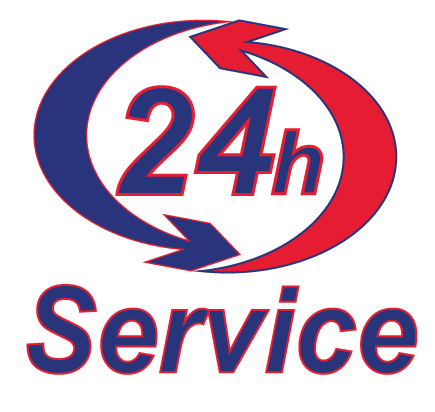 24/7 Emergency Assistance. We are always ready to respond anytime. Just give us a call if you need routine maintenance, AC installation, or emergency assistance on your unit. Ready to experience our stellar services and superior customer service? Contact the experts at Kemco today for a quote! Are you ready to take the heat this summer? During extreme weather conditions, it’s important that your house remains a safe and comfortable haven for you and your loved ones. Trust only the professionals at Kemco to handle your air conditioning system. We will take care of your house like our own.